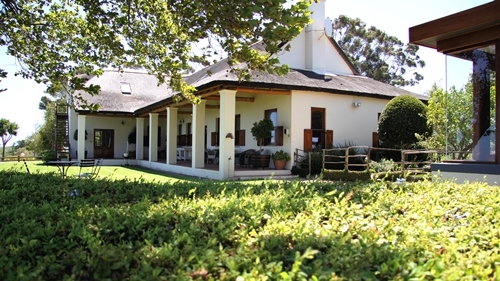 DE TOREN is a boutique winery with only 22 hectares of vines, located on the Polkadraai Hills in Stellenbosch. 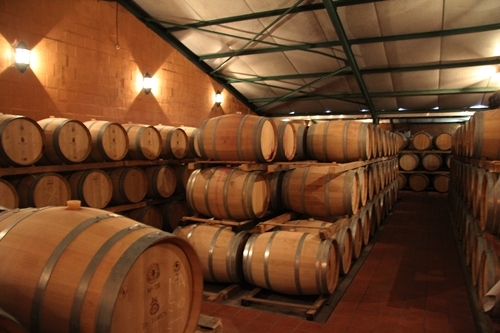 It was founded by Emil Den Dulk in 1994 with Albie Koch as their winemaker. 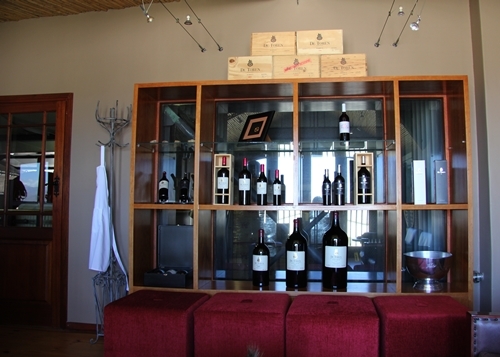 The first vintage released was the 1999 vintage, and due to their extreme attention to detail they now produce some of SA’s new cult wines. 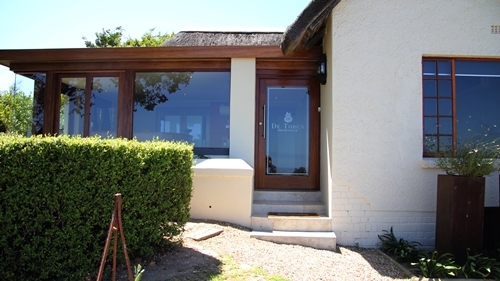 The architecture is a modern take on the classic Cape Dutch style. 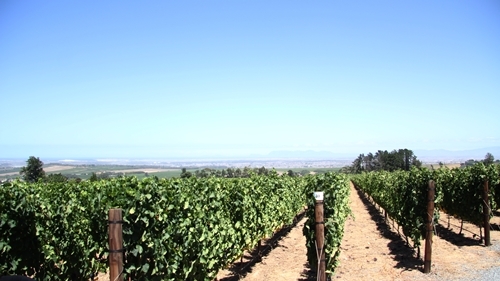 Their elevated position gives as pictured thrilling views across Stellenbosch, with the False Bay to the south, and the Helderberg and Stellenboschberg mountains to the east. 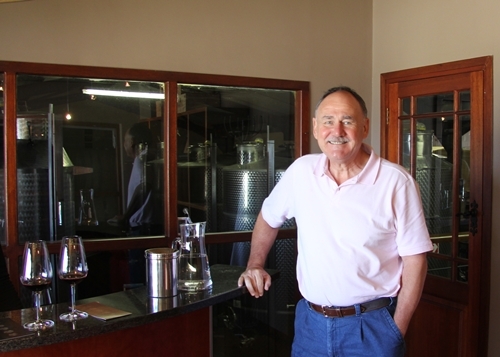 The vineyards have been planted with consultancy from the viticulturist Johan Pienaar. 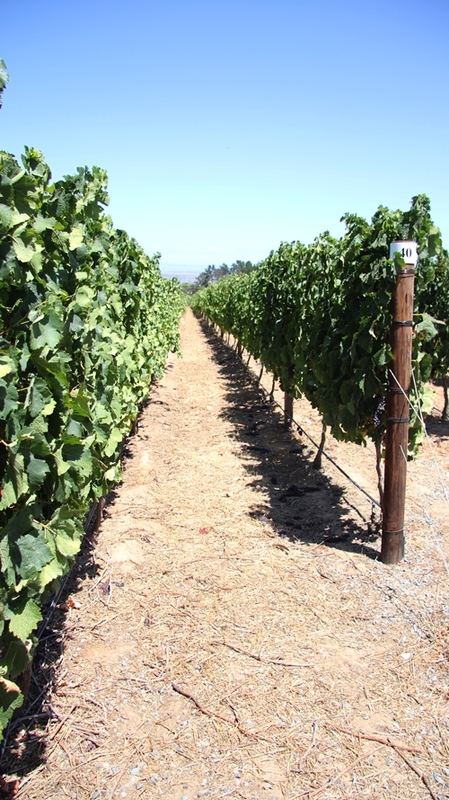 The cultivation is based on extensive studies of the soils, and how the individual vines perform. The research which is ongoing is made in collaboration with the Department of Viticulture and Oenology at Stellenbosch University. The vines are divided in small blocks and parcels of Cabernet Sauvignon, Cabernet Franc, Merlot, Petit Verdot, Malbec, and now also Shiraz, using as many as 15 different clones. Here the small blocks of Merlot, found just in front of the Cellar Door. De Toren is Dutch and translates “the tower”. 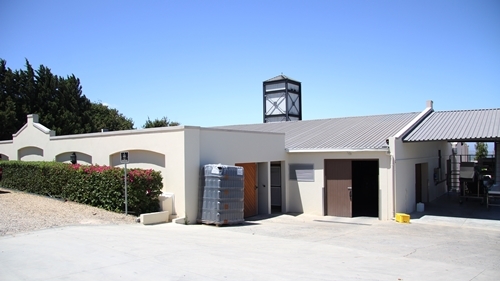 Name refers to the winery structure, which is designed for making wine by gravity-flow. 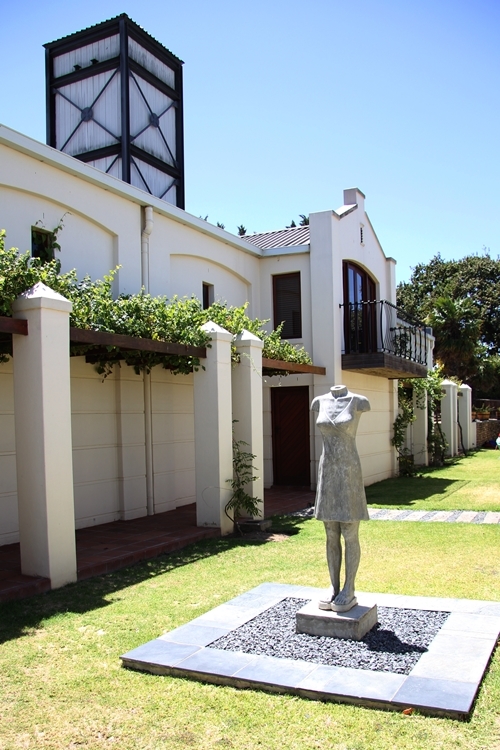 The “Prima Vera Twins” are two life-size female sculptures by Marieke Prinsloo, that can be found in one of the gardens. 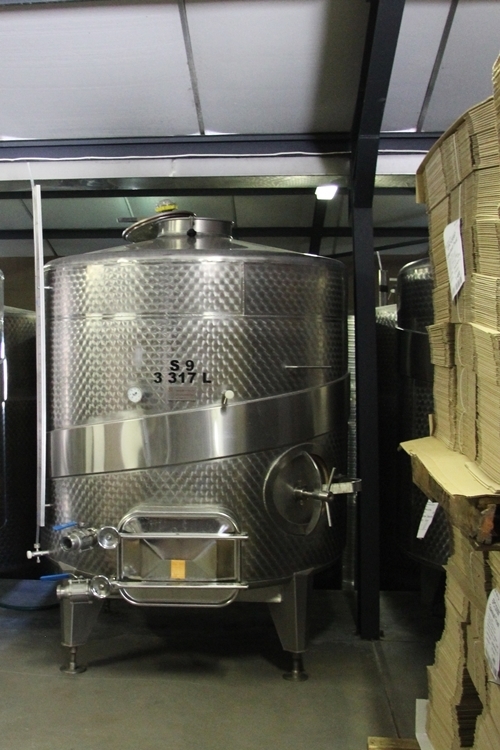 Their different fermentation tanks play a significant role in their detailed winemaking. Here an example of one of the open steel tanks. 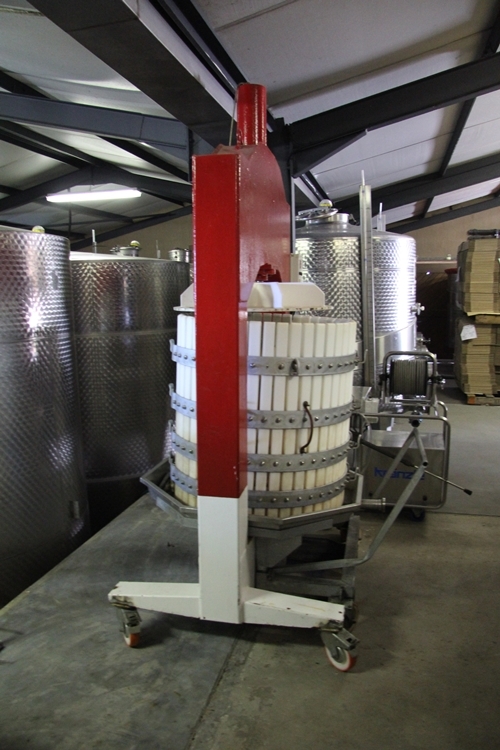 Quality does not come to the lazy and the captured basket press is moreover a clear indication that the winemaker favours control and gentle processing. 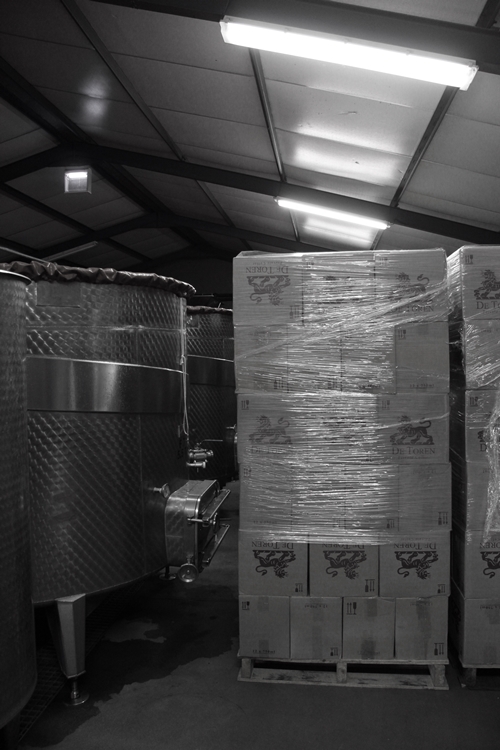 The individual varietals are both barrel aged and partly bottle aged separately in their vinoteque. This is to follow the wine through its stages. By tasting and evaluating the varietals while they age, the winemaker can experiment, and make minor changes in the vineyard and cellar, to perfect the final blend. 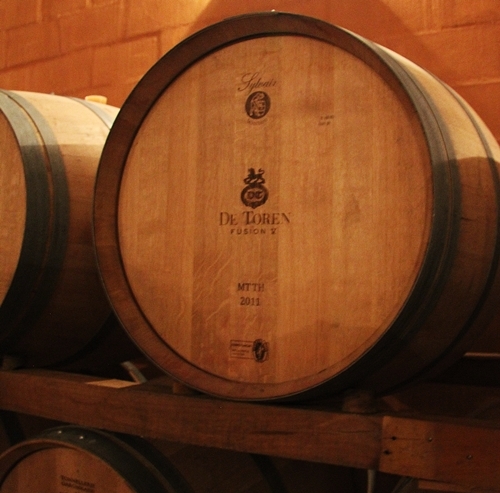 De Toren is especially known for their Cabernet based blend “Fusion V”, it was the first wine to be released, and the name refers to the fusion of the five Bordeaux varieties, where Cabernet Sauvignon makes up 50-60% of the blend. 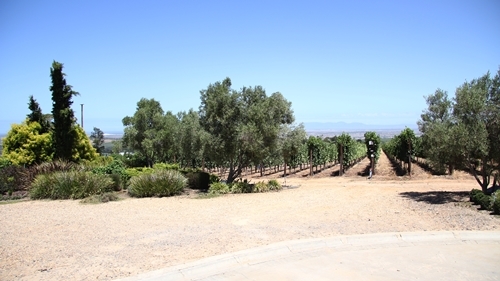 The wine is blended from specific vineyard blocks, that have soils with a higher content of gravel and also receive relatively more sun exposure. “Z” is their Merlot based blend, and it also blends all five Bordeaux varieties; Merlot, Cabernet Sauvignon, Cabernet Franc, Petit Verdot, and Malbec. The name “Z” refers to the cooling sea breeze “Zephyr”, that cools some of their vineyard blocks. The blocks selected for “Z” have more clay rich soils, being primarily planted to Merlot vines, which form minimum 50% of the blend. 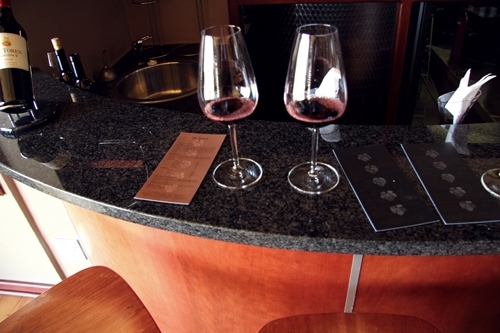 The small private tasting room, found in the production area of the winery. The 2009 vintage of Fusion V was extremely layered and complex. It is not an over-extracted wine, it is elegant, and the tannins are well-tamed. It will be exciting to see how it will develop. The 2009 “Z” was less convincing, but still very enjoyable. Though bear in mind it is priced very differently. Tasting the wines with the owner, meant that we were also able to taste some of the components that form the Fusion V blend on their own. A rare opportunity to get a deeper understanding of a blend. And I was moreover surprised by the intensity of the Malbec. 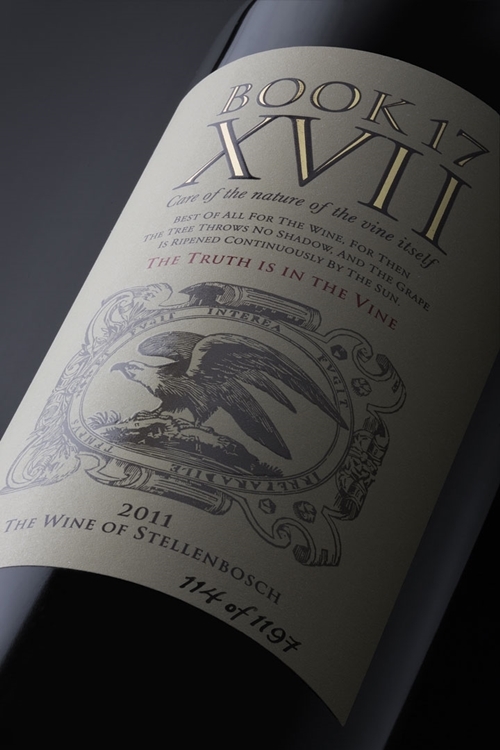 Emil and Albie have moreover made two very limited cult wines; the “Book XVII”, and “the Black Lion” of Shiraz. They are very rare, and only made by pushing the viticulture and winemaking to the extreme; with exceedingly low yields (only 300 grams per vine), late harvesting, hand berry picking, foot stomping, hand punch-downs, and double barrel ageing the wine for 2 years on some of the best French oak money can buy. Needless to say that both have made it to my bucket list!